If you’re seeking a solution to thinning hair or hair loss, you can be overwhelmed by the amount of information that’s out there. You’ll hear things about treatments, cures, potential risks or problems and more than a little misinformation. If you want a permanent solution, RHRLI offers a state-of-the-art hair transplant procedure called the ARTAS® system. It uses robotic technology to give you a healthy, full head of hair. Sometimes it’s difficult to find the facts about hair transplants. 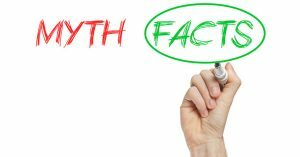 We want to tell you about some common hair transplant myths that are out there and what you need to know about these procedures. In fact, the ARTAS® system will give you a natural look because it delivers more precision and accuracy than any other hair transplant procedure. “>The Follicular Unit Extraction (FUE) procedure is minimally invasive and virtually scarless. Our Robotic FUE gives the doctor significantly greater control over the selection, harvesting, and transplantation of the new hair follicles. Another myth is that patients, particularly younger ones, will need to have repeat procedures over time. Dr. Mark Tam, a London-based hair transplant doctor, told the British newspaper the Daily Express that this isn’t necessarily true. “Once the transplanted hair starts to grow, the hair will stay and depending on the size of the area there is a chance you might not need another procedure soon,” he said. Another transplant would only become necessary if another area of hair loss develops elsewhere. Many patients are also afraid that hair transplant procedures will cause them pain. That’s also a myth according to Dr. Tam. “We anesthetize the area with local anesthetic injections and once the area is anesthetized, we start the painless transplant process,” he told the Express. When the procedure is done, there will only be some after-effects. “The skin might look a bit red and swollen immediately after the procedure however it’s only temporary,” he said. The recovery time is short with the ARTAS® system and it’s even shorter than other procedures. You won’t need surgical incisions or stitches; patients can usually resume their normal activities in 1 to 2 days. It is an outpatient procedure that requires only a local anesthetic. RHRLI’s Robotic FUE treatment will offer you a permanent solution to hair loss or thinning hair, it’s a quick and painless procedure and the result will be a natural, healthy head of hair. Our board-certified surgeon Dr. Gohil has been in practice for more than a decade and he will map out details of the procedure when you come in. RHRLI is the only hair loss treatment center on Long Island that offers the ARTAS® system which is more accurate than other FUE procedures that are done with handheld devices. To get started, contact RHRLI today.